Increase in medical plan participation due to growing workforce and rich medical plan offered at a low cost to employees. Prior to the clinic opening, the medical plan saw utilization of ER visits and imaging services along with associated costs above benchmark. The number of covered lives (employees and spouses) was also increasing as well as the average employer paid amount per member due to high cost utilization of an unmanaged workforce. Current medical plans were two low deductible, PPO plans with little consumerism and offered at low cost to employees. The first six months the clinic was open showed low utilization for several services resulting in the employer reducing services effective January 1, 2015, through March 31, 2015, to help reduce costs. The suspended services included patient advocacy, evening clinic hours, reduced health coaching hours and physical therapy. In order to fully recognize the benefit of an onsite clinic, employees needed easier access to the clinic during working hours, a better understanding of services provided (i.e. labs, medications and nurse coaching) and targeted outreach to key members. 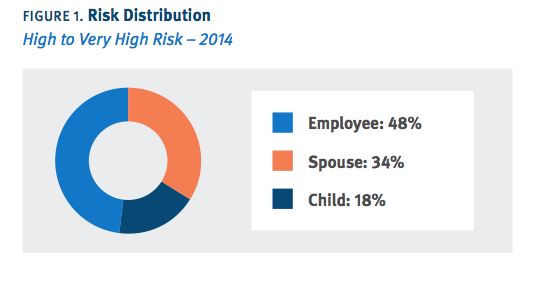 Data revealed employees carried the majority of the high/very high risk, and risk migration from 2013 to 2014 showed a neutral to slight increase (Figure 1). Further analysis showed a higher than average percentage of untreated chronic conditions, including diabetes, high cholesterol and high blood pressure. 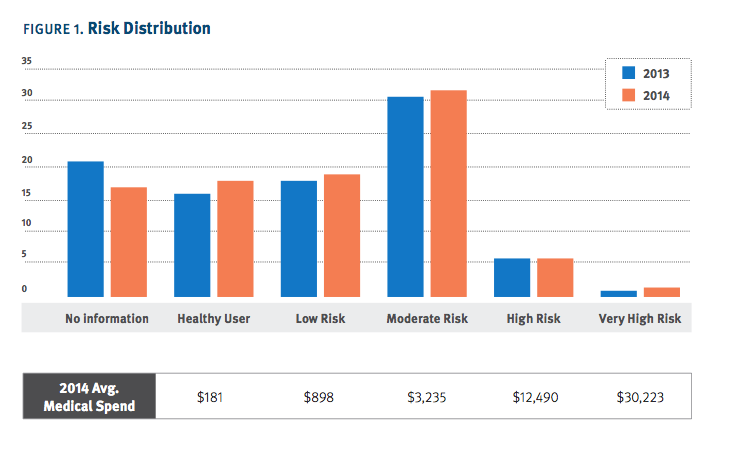 Cost information from a disease perspective showed the potential impact specific disease programs within the clinic could have on employee health and medical cost. The data reported from the population health team was instrumental in developing a strategy to have an impact on the member population and a successful onsite clinic. Once there was an understanding of the prospective risk and impact of chronic disease management by the employer C-suite, the HR team gained support for the initiatives developed by the population health and HR teams. 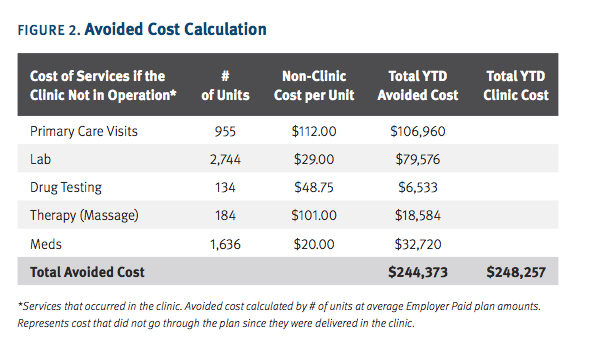 A key illustration (Figure 2) to this point was showing a cost avoidance calculation for key services provided by the onsite clinic. To learn about the recommended solutions, the implementation strategies, and how data was used to measure results, download the full case study.